(Newser) – The father of one of the UCLA students who was arrested and detained for shoplifting in China last year now has his own issues to deal with stateside. 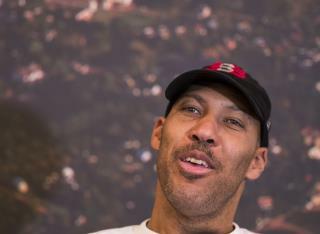 TMZ Sports reports the Better Business Bureau has slammed Big Baller Brand, an apparel company launched by LaVar Ball, with an "F," its worst rating. The BBB says it's received 33 formal complaints, and that of the reviews of Big Baller it has on record, 41 aren't complimentary, and exactly zero offer praise. "This is very definitely substandard normal business practices for anybody," Blair Looney, head of central California's BBB, tells TMZ. So let me see if I got this straight. The fruit of this a-hole's loins, LiAngelo, gives his father, LaVar, a Rolls Royce valued at over $400,000 as a Christmas present but has to steal a pair of hundred dollar sunglasses while in China. The morals and values of these people is highly questionable. But, then, what would one expect from them?